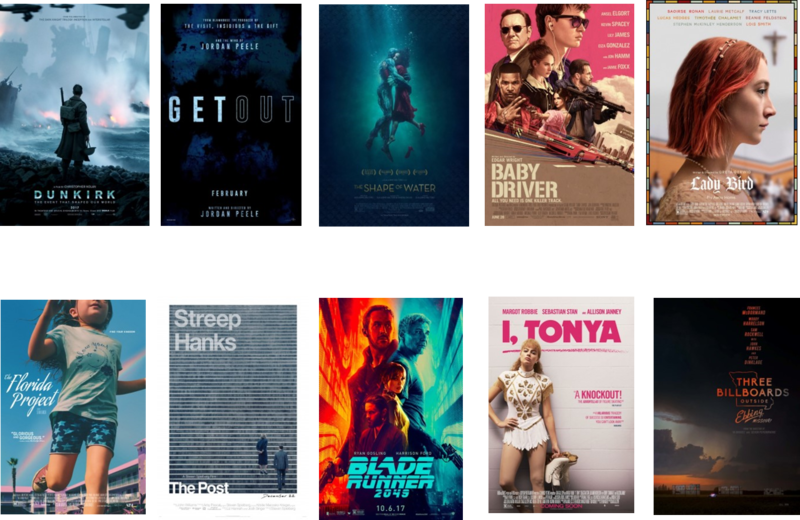 The rundown: Now we’re on to a category that closely matches up with the Best Picture list but doesn’t always include only selections from it. The likeliest to crack the list that isn’t one of those is Baby Driver, which managed an ACE Eddie bid in the comedy category from the American Cinema Editors. Also possible is Blade Runner 2049, though it will have some fierce competition. 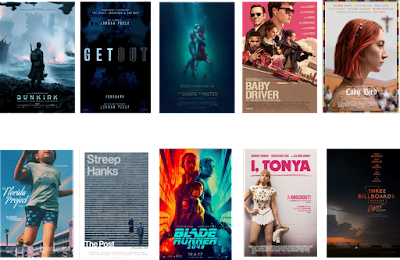 I’d love to say that The Florida Project will make it in like late-breaking films like “Children of Men” and “United 93” did, but that was over a decade ago, and more recent performers like “Beasts of the Southern Wild” didn’t end up making the cut in this race. 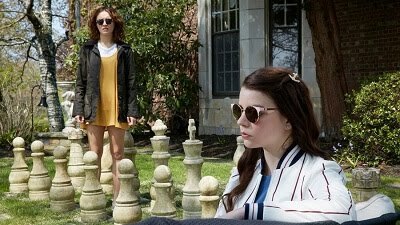 Dunkirk is the surest thing, Get Out is next, The Shape of Water seems unlikely to be snubbed, and I think Lady Bird scores the fifth slot over The Post and three other strong possibilities given how they’ve been doing recently: I, Tonya, Three Billboards Outside Ebbing, Missouri, and Molly’s Game. One possible crazy scenario: The newish film that started it all, “Star Wars: The Force Awakens,” scored a spot two years ago, making it the first nominee in its series since the original “Star Wars” took home this award forty years ago. Star Wars: The Last Jedi didn’t land as profoundly, so its inclusion here would be a shock. Forecasted winner: I guess it could be something else like “Get Out,” but I think Dunkirk takes this.